Bus Accidents: How Long to File a Claim? Chances are that if you are injured in a bus accident, you will not be running to the courthouse the very next day to file your claim for compensation. You will obviously want to heal and recover first and ensure your family affairs are in order. You will probably want to speak with a bus accident lawyer about your legal options and whether you have a case that should be filed. The law does not require you to file a claim for compensation immediately; however, if you wait too long you may find yourself unable to seek any compensation for your injuries at all. Lawmakers have recognized for quite some time that it is very disruptive to a person’s daily life and psyche if he or she is forced to go through life worrying whether he or she will be sued for his or her negligence on a particular occasion. This person may forego personal development plans and expenditures believing he or she might be sued, and his or her quality of life would suffer as a result. To avoid this, every state as well as the federal government has enacted statutes of limitations. A statute of limitation is the “filing deadline” for a particular type of case. A case that is filed beyond the statute of limitations, even by one day, faces the risk of being dismissed without ever making it to trial. There are usually different statutes of limitations for various types of cases (for example, a personal injury lawsuit may have one statute of limitations while a contract dispute would have another statute of limitations). What is the Statute of Limitations for Bus Accident Injuries? Bus accident lawsuits are a type of personal injury lawsuit. Therefore, you would need to consult your specific state’s statute of limitations for personal injury lawsuits to know how long you have to file a bus accident injury claim in your state. For most states, this time period is two to three years from the date your injury occurred. Thus, in a state with a two-year statute of limitations for personal injury lawsuits, if you were injured in a bus crash on January 1, 2016, you would have until January 1, 2018 to file your claim in court. If you wait until January 2, 2018, your case could be dismissed as being untimely. What if I Do Not Notice My Injuries Until Later? Sometimes injuries or complications from a bus crash may not be immediately apparent. What happens to the statute of limitations if you do not notice you have bus accident-related injuries until months or years after the crash? Most every statute of limitations starts the “countdown” on the date you knew or should have known you were injured. If a reasonable person in your situation would have known that he or she was injured on January 1, 2016 but you did not find out about your injuries until June 1, 2016, the statute of limitations would have started on January 1, 2016. If there was absolutely no way you could have known about your injuries until June 1, 2016, then that date will be considered the start date for the statute of limitations. The existence of these statutes of limitations is but one of the many reasons why you should consult with a bus crash lawyer as soon as possible following your bus accident. 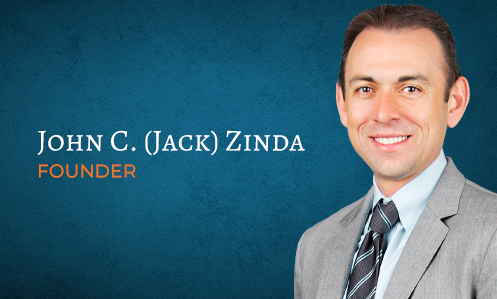 The bus accident attorneys at Zinda Law Group, will advise you of how long you have to file your lawsuit. If you believe the statute of limitations has already run, we can evaluate whether you may be entitled to an exception to the statute or if the correct date was used in calculating whether the statute of limitations had run. Call us at (800) 863-5312 to schedule a consultation and learn how we can help you bring a claim for compensation timely.